This year’s iPhone (could be called iPhone 8 or maybe iPhone 10 because of the 10 year’s anniversary), seems to be very interesting. At least one version of it. The rumors say that it will have a full face display, or with another name: True Edge-to-Edge display. 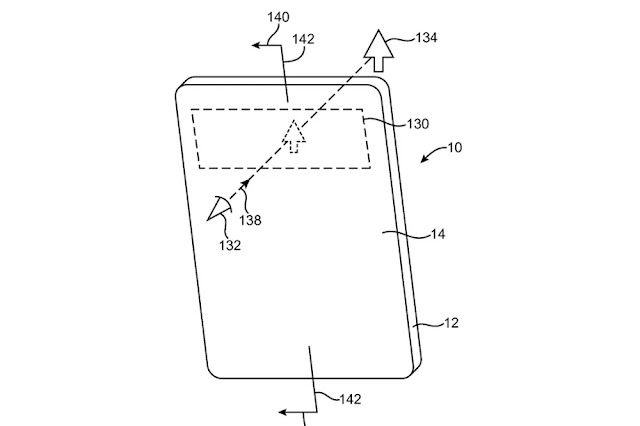 Awarded by the U.S. Patent and Trademark Office, Apple’s U.S. Patent No. 9,543,364 for “Electronic devices having displays with openings” describes a method by which various components can be mounted behind perforations in a device screen that are so small as to be imperceptible to the human eye. This arrangement would allow engineers to design a smartphone or tablet with a true edge-to-edge, or “full face” display. For example, certain components like the front-facing camera, ambient light sensor and proximity sensor can be hidden below a cover glass or co-located in an inactive portion of the display. Other elements like the ear speaker and home button require unhindered access to the user, especially in the case of Apple’s Touch ID, meaning space for these parts is literally cut out of the front surface. If Apple can do this to make the iPhone have an even larger display than 5.5-inch, at least 5.8-inch or even better, a 6-inch display in the same sized device as the iPhone 7 plus is today, then they will have a really interesting device again. Especially if it’s an all glass phone. Glass all over the phone. Front, edges and back of it. That would be something. As the iPhone is now it starts to be rather boring so they have to do something and this could be it. Not that I would buy it though because my guess is that it will probably be incredibly expensive.